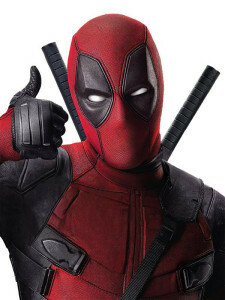 The following review is written with the trademark sarcasm of Deadpool. This is not the usual style of the article’s author, just more a literary experiment. The author doesn’t normally write like this, and opinions expressed in this review are all jokes (except the whole “this film is great and you should go see it” thing). If you are easily offended…STOP READING NOW. I’m totally serious. If you are going to make tons of nasty comments, just pass this article on and go look at handmade wreaths on Pinterest. It’s called satire. So, he should be bigger than Batman. In fact, I just started a petition on one of those .org websites to do that. Batman comes from an affluent family, that’s how he finances all of his cool toys. Technically, he’s the one percent. My college professor told me that I should loathe the one percent. So adios, Batman. Go sign my petition. If you do, I’ll send you a prize – lint from my jeans or a roll of toilet paper or last week’s coupons from CVS. Deadpool’s first movie is bigger than Titanic. At least with Titanic, you’re all like, “Thanks James Cameron. I really love this couple and they’re probably going to die. The ship is going to sink, says every history book ever.” Even James freakin’ Cameron can’t change history. Then, oh wait, the rich snobby girl survives. And that’s another point for the one percent. Deadpool is actually Wade Wilson, who is a regular joe. He finally found love. Things were coming together for him. Then he gets hit with a grim diagnosis – cancer. Cancer, everywhere. He’s told that there are options available, but his cancer is late stage and extremely aggressive. Astounded by the news that he will probably die ironically right after he gets his crap together, he heads to his favorite bar where a shady guy with a haircut from Dumb and Dumber offers him an experimental treatment. Against his better judgment, Wade heads to this weird laboratory that looks like something out of Silent Hill. Real sanitary. He is pushed to the edge of his physical capabilities via dangerous experiments. When he gives lip to his doctor, he is placed in a Michael Jackson/Futurama hyperbolic chamber and deprived of enough oxygen. This makes his body (including his face) gain the texture of a really-ripe Halo, without the cute fruit sticker on it. Faithful readers of the comic (yeah, all of those awesome people) will know that this is slightly different than the comic. Wade Wilson is a human with no latent mutant qualities. In the comic, he is injected with Wolverine’s healing ability. 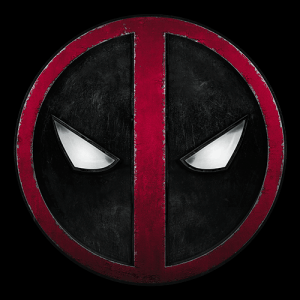 The experiment is later deemed a failure and Wilson is thrown into a pool, hence Deadpool. On the contrary, the film tells us that his name comes from a pool at a bar where people beat other people to death. Cute, right? 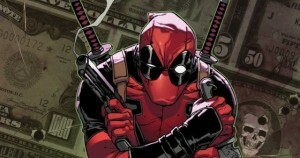 Wade Wilson has to reinvent himself as Deadpool. He now realizes that he can’t die, which is really helpful when you fight dudes with lots of artillery. 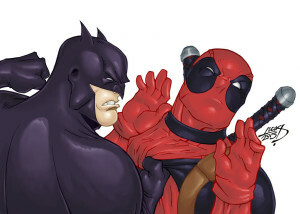 But the experiment hasn’t hampered Deadpool’s smart mouth. This is what we all love about Deadpool, right? We love the fact that he is a sarcastic smarty pants who with exceptional talent can cash the check that his mouth writes. If you are a reader of the comics, you will recognize some faces – Blind owl, Collosus, and Negasonic Teenage Warhead (Monster Magnet fans say “Heyyyyyy”). Collosus and Negasonic Teenage Warhead are characters from the X-Men universe, who attempt to persuade Deadpool into joining the X-Men and “turning good” but Deadpool is not really interested. He’s a vigilante; he prefers his solitude unless he is rescuing his girlfriend from a pack of bad guys on an abandoned aircraft carrier thing, then he needs backup. But in the end, Deadpool gets his revenge and the girl. Ryan Reynolds is PERFECT as Deadpool. The casting is wonderful for both major and peripheral characters. The storyline of this film is fantastic. It’s the perfect blend of “origin story” and “new story” for those who haven’t read the comics (and if you haven’t, shame on you. What are you reading, crap on the New York Times bestseller list?). There’s action, romance, drama, and more humor than your stomach muscles can handle – all of the characteristics that make a good movie. Take your girlfriend to it for Valentine’s Day. Maybe she’ll start reading Deadpool instead of Nicholas Sparks books and she’ll be cooler than all of your other friends’ girlfriends. My verdict: FIVE BLAZING, GLORIOUS STARS!